Good Morning, and thank you for reading. It’s been far too long since my last entry, however the down time was used for guided trips, and putting together what looks to be a very interesting list of upcoming blog topics. 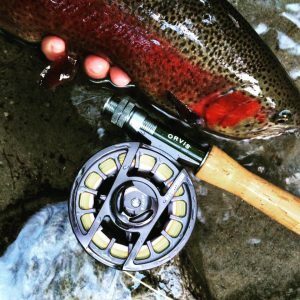 About a week ago, Anthony and I were contacted by Troy Holt of blogflyfishma.com for an interview, and happily agreed. I can’t speak for Anthony, but this is the first time I have ever been interviewed for anything, let alone fishing. If you know me well it may be hard to believe, but man was I nervous. I have never been totally comfortable talking about myself, especially to someone that I don’t know. I worried about how my answers will be received, first by Troy and then by readers. I guess a lot of us would be nervous being interviewed about their job if they knew their boss (potential clients in this case) would be reading. I know that I wouldn’t have wanted to be interviewed for the other jobs I’ve had. In the end, Troy’s questions were simple, straightforward, and easy to answer. It turned out to be a lot of fun to reflect on how I got here, and what is important as Early Rise Outfitters keeps growing. Thanks again for reading, and be sure to read the interview by clicking the link below.